Owning a car trailer is a matter of pride and one can secure rewards from them, but maintenance is the burden just like any other vehicle. As trailers are huge machines with lots of complex parts, it is a rigorous and tedious task to maintain them to the core. 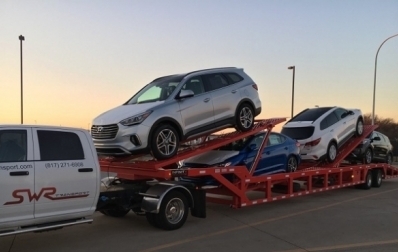 Big trailers with different loading capacities like a 5 or 6 car trailer require a great deal of maintenance and service, for which you have to make sure of their condition at all times. These vehicles are serious machines and unlike those fancy little two-seaters, trailers need proper attention. A little carefree approach can lead to serious issues and you might mace trouble out of the blue. For many truckers out there, maintenance is not a big deal just because they pilot the trailers which belong to a corporate entity. Driving the trailer without having the burden of maintenance is not something every trucker gets to experience. • Oil check - Checking truck oil is not that simple as it might seem to a lot of people. Even if you have never driven any vehicle more complicated than a family car, you must be knowing that motors require new and fresh oil every now and then. Keeping tabs on oil condition in your truck is necessary as things might turn bitter at any point. Most of the trucks are diesel-powered so the torque can have serious effects on the engine. • Tire pressure check - Truck-trailer owners should go by the ‘once a week’ rule when it comes to tire pressure checking. One week interval is good to determine the pressure on tires and whether your trailer is ready to move or not. In this context, it is good to understand that both inboard and outboard tires on every axle need same kind of maintenance and there is no reason to underestimate one or the other. Due to temperature and weather changes, tires may get inflicted. Sometimes they may over or under inflate due to temperature changes. Driving a trailer with more that 15 wheels on it is a work of great responsibility and if the tires are not maintained properly, you might invite serious trouble. • Airbrake system check - A regular car may have a hydraulic disc braking system but the system on your trailer is more complex due to the reason that it has to stop with a huge momentum than regular trucks or cars. It is always good to keep your trailer’s compressor under check in order to maintain its good working condition. These compressors play the main role behind the functioning of an airbrake. Along with the compressors, one should also check the brake lines running from cabin to the axles. • Fuel-vent check - Insects like wasps and other nest-building creature get inside the fuel vent, when your trailer has not been used for a while. Checking the fuel vent may prevent you from experiencing weird truck behaviour. Insects might block the passage of fuel making your trailer behave as if it is out of fuel. • Cleanliness - Your trailer is not a living thing but that does not mean you should let it stay untidy. The cabin of your truck is like another home to you. When you are driving or sitting inside the cabin, you are actually being a part of the whole truck. Keeping things unclean will make you feel uncomfortable. Cleanliness is important, both inside and outside of your trailer. Whenever you take any halt, make sure to remove all the trashes, vacuum the interiors, and wipe down the exteriors, especially the windshield. After all, your trailer is one good looking beast; do not let its shine fade away. • Regular servicing - Maybe you are full of enthusiasm when it is about truck maintenance or repairs and you want to do all of the tasks by yourself but there are certain things for which you better take the assistance of professionals. This is because trailer maintenance is not a small task. The main professional servicing can be subdivided into A, B and C type. Type A servicing involves the maintenance of connecting hardware to your trailer, type B servicing covers maintenance of all fluids, air filters, brake drums, and tires. The type C is something different; it is the roadworthy test which is required by the government. These are the basic maintenance requirements of your trailer and you should never refrain from carrying out the above mentioned checks. Did you find this post useful? If yes, then stay connected to this blog space for more informative posts like this.